For most of you, Saturdays and Sundays probably aren’t complete without a movie marathon and a bowl of popcorn. Avid movie buffs most likely watch something every night. But would you be willing to watch a movie even if it contains some of the dumbest mistakes? Well, let’s try and test your loyalty a little bit here. 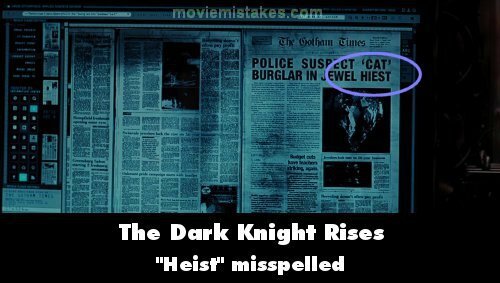 These 18 movie mistakes will surely upset movie lovers. 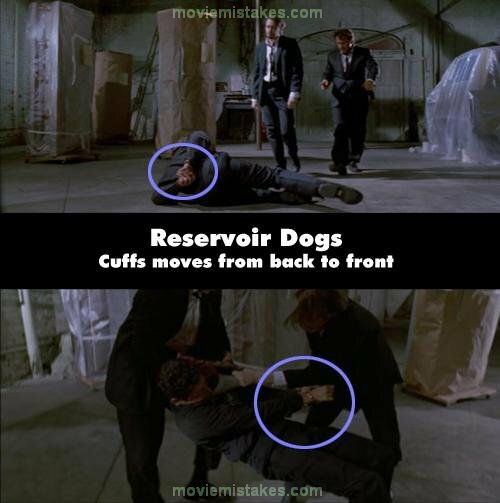 This is the scene where Marvin Nash was captured in the movie “Reservoir Dogs”. When tortured, his hands were cuffed behind his back. The next frame was when he was kicked and his hands were now magically cuffed in front. A few moments later, his hands were cuffed at the back again. Seems like Marvin Nash here was a gymnast. Okay, so Gladiator is a period drama and action movie. Everyone knows that. And that’s basically why everyone finds this movie mistake crazy. During the Battle of Carthage, everyone saw this gas cylinder placed at the back of the main character’s chariot. Isn’t that silly? A present-day invention in a historical movie? Everyone is dressed in Middle Eastern clothes for the movie, but you suddenly see a man walking by wearing a t-shirt and jeans. Cool, right? This movie is undoubtedly successful in so many ways. But blatantly obvious movie mistakes can be seen in it – like when Harry Potter’s signature scar disappears and reappears at will. This is the same kind of thing we saw in Raiders of the Lost Ark. This person, however, seems like a tourist, complete with t-shirt, sunglasses and cowboy hat. …And another one! Never thought Captain Jack Sparrow could be a big, loyal fan of Adidas. Hey, nobody’s a perfectionist here, but someone filming a blockbuster needs to spell things the right way. It’s almost impossible to notice, but someone actually spotted this little white van as the battle in the movie began. In The Hobbit, Legolas has light blue eyes. Does the eye color change as the movie progresses? It’s just weird how his eyes in The Lord of the Rings got darker. This, unlike the movie mistake in Braveheart, is painfully obvious. There’s nothing dumber than a doorknob zoomed with a camera lens angled right in front of it. A picture or two aren’t enough to discuss all the movie mistakes in 2 Fast 2 Furious. Oops! The outline of those power packs on the backs of Harry and Hermione shouldn’t have been so obvious. When Thor, the super strong man from another planet, first came to Earth, almost everything was damaged, including this flipped car beside him. A few minutes later, however, it seemed flawless. X-Men is a good movie, so we can just let these ridiculous movie mistakes pass for now. 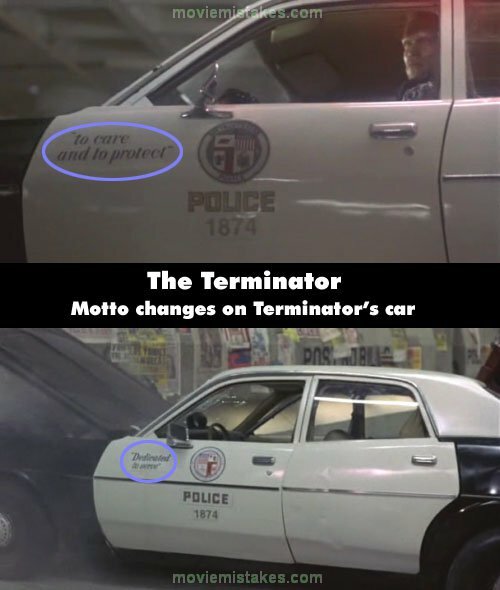 In its parking shot, Terminator’s stolen police car had a motto that reads “to care and to protect”. After some car chasing and crashing, the motto on the car suddenly changed to “Dedicated to serve”. No one ever thought that a movie so historic and phenomenal could be a movie full of mistakes. Loyal twilight fans can defend their favorite movie all they want, but we have more than a few proofs here. Can an apple have 2 differently colored sides, one green and the other red? Who hasn’t heard about photoshop? The airplane mistake in Troy is, well… a mistake. It was photoshopped. Try watching it again and you’ll know. This, however, was never photoshopped. Plucking arrows off a shield takes a lot more time than it takes to move to the next camera shot. It’s either magic or another epic movie mistake.